Many of the practical applications of understanding animal flight relate to areas like robotics and aeronautics. However, there are implications for human health, as well. Since flying animals experience intense skeletal loads and have rather strict muscle output requirements, many of them (particularly vertebrate flyers) make good models for understanding the limits of biological tissues, which in turn can play a role in future breakthroughs for biomaterials, tissue engineering, and the like. However, there is a more direct link with human health, as well: many of the world's most serious diseases are carried by flying insects. Parasite life cycles can be quite complex, and many of them include more than one host. It is common for one of these hosts to be a smaller, more mobile organism, and that is often an insect. The more mobile host is typically called the vector, though in truth the definition of a disease vector is more specific than that. The limits on vector performance may getting more relevant in some locations. For example, in Hawaii, avian malaria has decimated many of the endemic bird populations. Many (if not most) of the lowland species present before European habitation of the islands are now extinct, or nearly so. 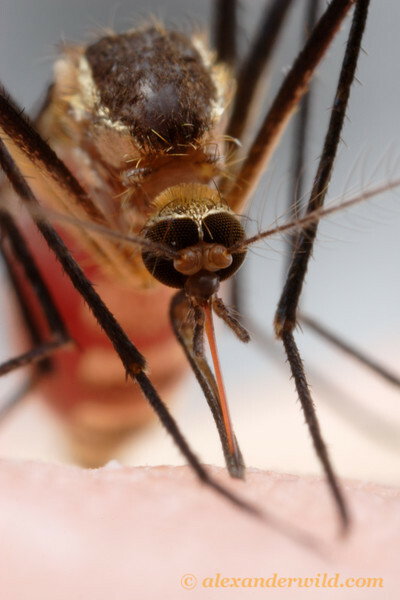 However, the highlands have been protected from this effect in the past because they were cool enough to keep the malarial loads inside the mosquitoes low, and also because the cooler air and lower oxygen density inhibited the malaria-carrying mosquitos (different mosquito species take over at high altitudes). Unfortunately, Freed et al. discovered a about six years back that more mild high altitude temperatures were allowing malaria to spread up the mountains. They attribute this mostly to malarial loads within mosquitos, but it is likely that flight performance of the mosquitoes themselves is also improving at higher altitudes. The Freed et al. study can be found here. Avian malaria has been used as a model for understanding human malaria for decades (in fact, two of the Nobel Prizes for malaria research were given for discoveries in avian malaria). It is reasonable to suspect that human health will also be influenced by the impacts of climatic changes on vector mobility. In the coming weeks, I will post more examples of how insect flight performance is critical to human health and economies - both for better and for worse.